These colorful, easy-to-handle rounds are a great way to teach children colors. 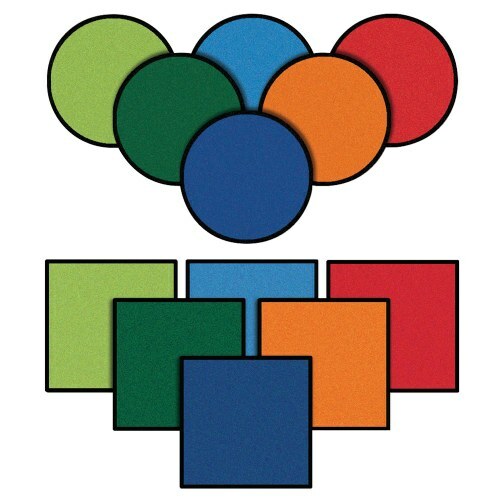 Proudly made in the U.S.A., these 16" x 16" carpet squares are durably designed to provide a lifetime of learning and fun. Set of 24.